The United States concerned over the recent attacks on US diplomats in Havana with unknown audio devices, which targeted at least 21 diplomats. Some of them reportedly suffering permanent hearing losses and possibly brain injuries as a result. WASHINGTON (Sputnik) — Recent attacks on US diplomats in Havana with unknown audio devices were emphasized in the Sixth Bilateral Commission meetings with Cuban officials in Washington, DC earlier this week, according to a press release from the Department of State Office of the Spokesperson on Wednesday. 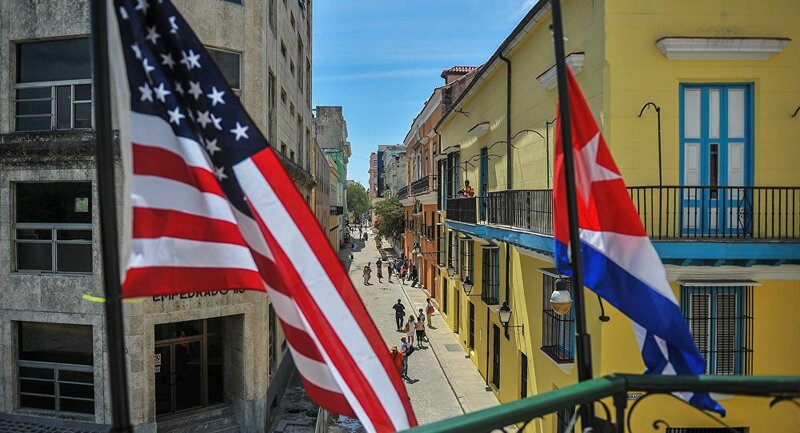 "The United States reiterated its deep concern for the safety and security of the US Embassy community in Havana and the urgent need to identify the cause of these incidents and to ensure they cease," the release stated, referring to the Bilateral Commission’s latest session on Tuesday. "The meeting provided an opportunity to discuss the incidents affecting diplomatic personnel at the US Embassy in Havana." While the statement did not elaborate on "these incidents," the release undoubtedly referred to reports that US diplomats in Havana have been deliberately targeted with acoustic attacks. The incidents have affected at least 21 diplomats, some of whom appear to have suffered permanent hearing loss and possibly brain injury, according to media reports. The delegation also reviewed the priorities of the administration of President Donald Trump and areas for engagement in the interests of the United States and the Cuban people, including human rights; implementation of the Migration Accords; and protecting the national security and public health and safety of the United States.